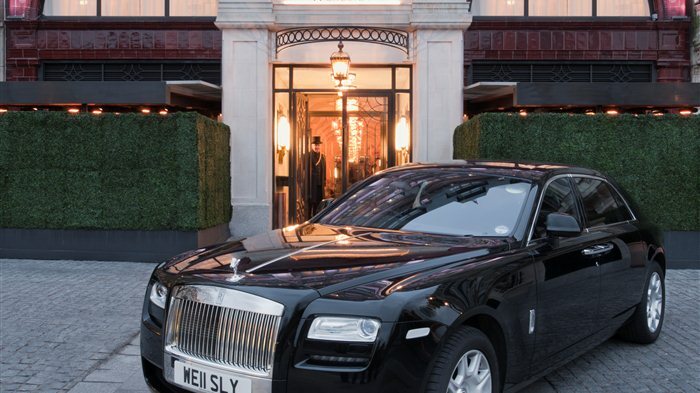 With just 36 rooms and suites The Wellesley is a small but glamorous hotel in Knightsbridge, west of Hyde Park Corner. A stylish conversion of a 1920s townhouse with a Rolls Royce to take guests around town. A small but glamorous place to stay in Knightsbridge. This 1920s Knightsbridge townhouse, restored in 2012, offers a glamorous place to stay with its modern art deco interiors and ideal central location. Building on its musical heritage, the quality suite hotel also boasts a luxurious Cigar Lounge and heated terrace providing individually-sold cigars and an intimate Jazz Room where guests can enjoy various live jazz performances. For wining and dining, there is the Oval Restaurant and for evening drinks there is the stylish Crystal bar. Of 36 rooms situated over seven floors, 29 are suites, with all rooms beautifully decorated with fine furnishings. For the ultimate in luxury travel, a Rolls Royce house car is on hand to take guests around town. Curated by in-house Tea Connoisseur, Leonardo Mattera. An intimate and romantic setting in which to enjoy authentic Italian food. The Oval Restaurant within The Wellseley hotel in Knightsbridge has just 28 covers creating an intimate setting in which to enjoy authentic Italian food. Simple ingredients are beautifully prepared in dishes like scallops gratin with pecorino and black truffle sauce, seared tuna, vegetable couscous and aged balsamic dressing - just two of the antipasti choices. Follow with wild seabass in a salt crust with braised fennel and spinach for your secondi or American rib eye from the grill. The Oval Restaurant's gorgeous cream leather chairs and inlaid marble floors makes this a "very discreet and very romantic" restaurant, "and the food - the freshest burrata or a classic Dover sole - really shines" according to Tatler magazine. The restaurant's delicious Italian dishes are available throughout the hotel including the Jazz Lounge which offers live music performances by West End Artists accompanied by a fine dining experience from 8.30pm on Thursday, Friday and Saturday nights. The Jazz Lounge draws on the building's famous musical heritage. Located at the Wellesley Hotel, a luxury hotel within a restored 1920s Knightsbridge townhouse, The Jazz Lounge has been designed to uphold the building's famous musical heritage - jazz greats like George Melly, Johnny Dankworth and Amy Winehouse have all played here. With its performance space for both up-and-coming and high-profile artists, musicians can perform on a Jazz Age-appropriate grand piano, the room's centrepiece, whilst residents relax and enjoy afternoon tea or cocktails. The afternoon tea menu includes teas from the finest estates in the world and scones and pastries made by the hotel's own pastry chef. The terrace, humidor and cigar collection at The Wellesley is worthy of Winston. Home to one of the largest cigar humidors in town, complete with marble map of Cuba on the floor, The Wellesley has an impressive (and expensive) range of cigars, some in beautifully presented carved wooden boxes with hand painted portraits on them. Suppliers include famous Cuban tobacco growers amounting to a quite incredible collection with prices going up to and including £3,000 for one Cohiba Behike cigar. Smokers can enjoy vintage Havanas and limited edition Behikes, discuss and learn first-hand from humidor manager Giuseppe Ruo, and enjoy a cigar while Winston Churchill looks down on you from his portrait painted on tobacco leaves by Cuban artist Ernesto. From cheap budget hotels to luxury 5 star hotels see our special offers for hotels, including Radisson Blu Edwardian Sussex Hotel from 64% off.